Herndon has become a leading light in contemporary music by experimenting within the outer reaches of dance music and pop songwriting possibilities. A galvanising statement, Platform signals Herndon’s transformation as an electronic musician to a singular voice. Born in Tennessee, but reared on music abroad, Herndon broke out from her formative years in Berlin’s minimal techno scene to repatriate to San Francisco, where she currently lives and studies as a doctoral candidate at Stanford’s Center for Computer Research in Music and Acoustics (CCRMA). With the progressive themes of Platform, Holly Herndon could be viewed as the 21st century’s answer to the protest singer were she not also a composer of such sublime music. Old categories don’t fit for Herndon, just as the lineage of protest-music fails to capture the scope of Platform’s appeal and its potential for mass disruption. To achieve Platform, Herndon has opened up her process to vital artists and thinkers from her creative circle, leading by example to tackle a host of topics ranging from systemic inequality, surveillance states and neo-feudalism. Platform underscores the need for new fantasies and strategic collective action. Among the collaborators are composer and drag performer Colin Self (vocals on “Unequal”), contemporary artist Spencer Longo (co-writer on “Locker Leak”), rogue production outfit Amnesia Scanner (co-producers of “An Exit”), Ensemble Dal Niente’s soprano voice Amanda DeBoer Bartlett (vocals on “Dao”), Berlin Community Radio’s ASMR ambassador Claire Tolan (voice on “Lonely at the Top”), and radical Dutch design studio Metahaven (visuals for “Home”). Influence of long-time collaborator and digital-DIY artist Mat Dryhurst is also echoed throughout. Herndon’s debut album Movement, released in 2012, showcased Herndon’s fascination with trance and the disjunctive sampling techniques pioneered by avant-garde composition. Subsequent singles ‘Chorus’ and ‘Home’ – offered in advance of Platform – humanised the laptop by celebrating its capacity for memory-storage and lamenting its vulnerability in light of revelations of mass surveillance. Transitioning to Platform, Herndon’s music becomes even more visceral by channeling the chaos and clangor of transmediated experience. Close to a contemporized version of Einsturzende Neubaten’s industrial rhythms or Joe Meek’s fantastical alien productions, Herndon’s auditory palette samples the domestic and digital environments of her daily life. Opposing the dystopic potential of a surveillance state and the specter of a monoculture, Platform seizes this unstable moment for a conscious shift in the pop and dance music conversation. Offering what Herndon describes as “a rupture, a paradisic gesture,” Platform is an optimistic breakthrough for Herndon, an appeal for progress, and a step toward new ways to love. 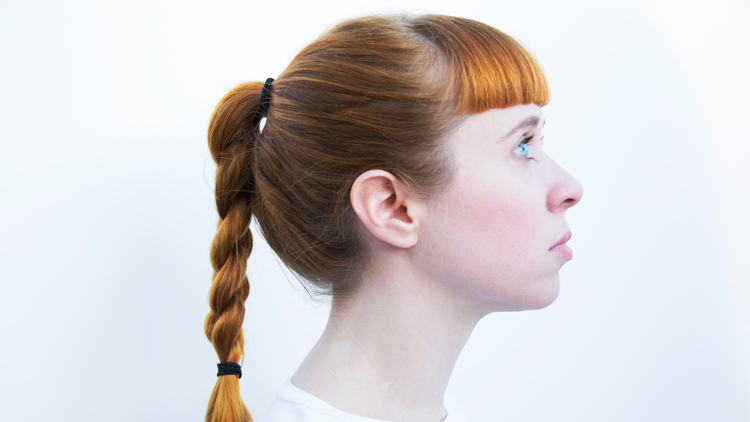 Holly Herndon’s Platform will be released 18th May in cooperation between RVNG Intl. and 4AD. Support for this show will be Amnesia Scanner.